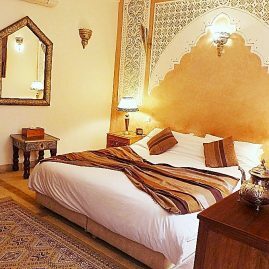 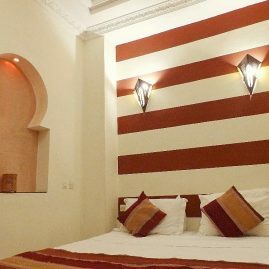 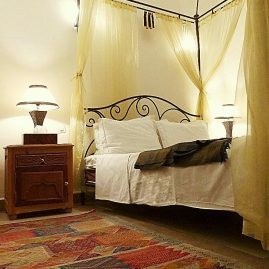 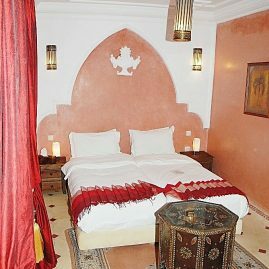 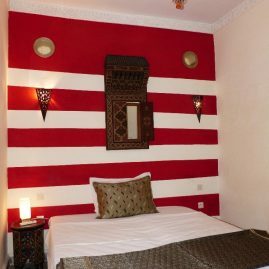 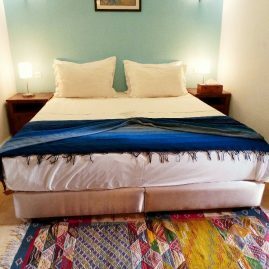 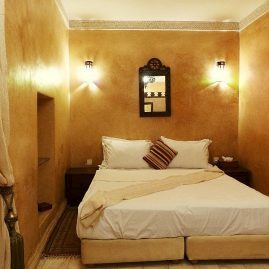 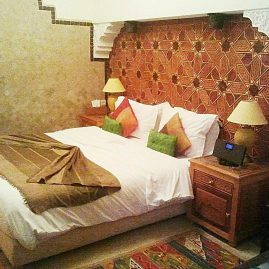 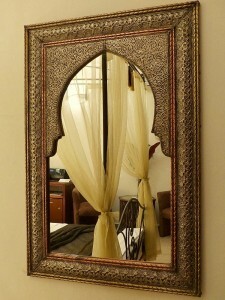 Comfortable rooms complemented with hand made furniture from the craftsmen of the Medina. 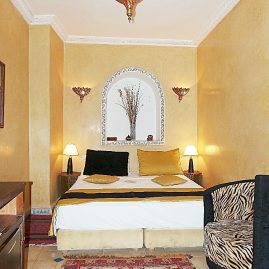 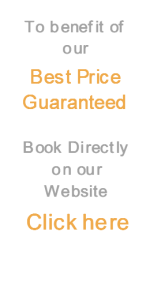 All rooms are en-suite and have heating and Air-conditioning. 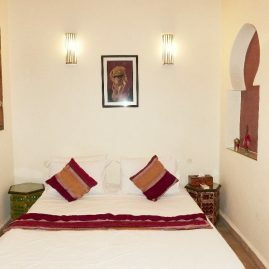 Some have satellite television, English speaking channels and music system. 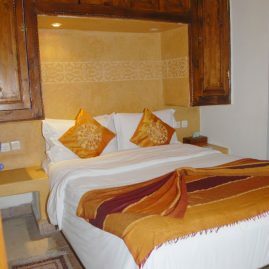 Most of rooms can be prepared as double or twin, some of them can accomodate 3 persons.